We here at the Panic Manual first caught Australian dream pop artist Hatchie a little over a year ago at SXSW and were impressed with her sound and her live show – clearly she seemed primed for greater success. So it’s a bit surprising that she’s taken things a bit slow, with her full length debut Keepsake only just coming out later this year (June 21) on Double Double Whammy Records. Still, while it’s been a bit of a long wait, her fine EP Sugar & Spice has surely tided fans over in the meantime, and in the buildup to the new album’s release, she’s currently on a tour with Girlpool that came through Longboat Hall on Saturday night. During her roughly 30 minute set, Hatchie (aka Harriette Pillbeam) kept things short but sweet, running through a set packed full of beautiful, shimmering numbers like “Try” and “Sure” off the EP as well as a few off of the upcoming full length like “Without A Blush.” Since the last time Hatchie ventured around these parts, the live band has been scaled back to a three piece, but the band sounded great and doesn’t seem to have lost any of the fullness in their sound. I also have to give props to the drummer in particular for having a set of chimes as part of his kit – outside of new age music and a few prog rock bands, you don’t really see enough chimes these days. 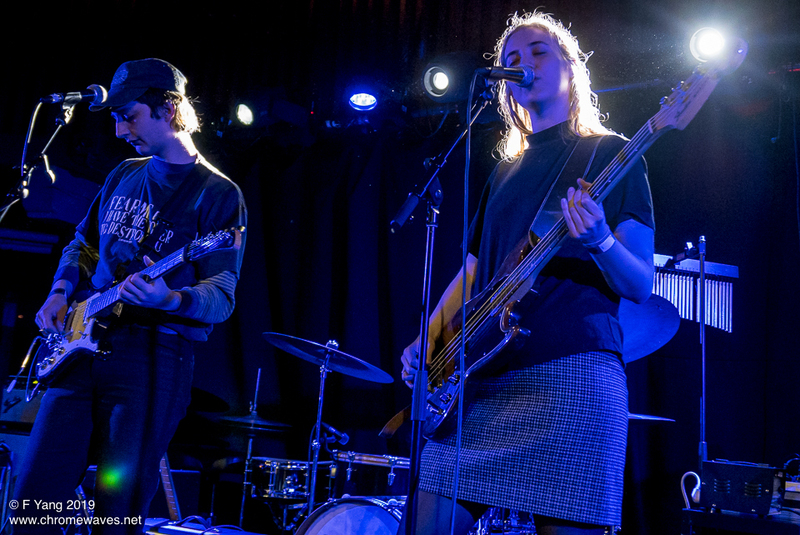 Overall, Hatchie put on a solid show that left the crowd wanting more. Here’s hoping she’ll be back soon enough for a full headlining set once Keepsake is released. Good Friday. For millions of people around the world, it’s a significant day in their faith. For the rest of us, it’s mostly just a day off work. Still, even if by chance my plans for the day had leaned towards something a tad more pious, surely those plans would have been … aborted once I made plans to see Aborted. Yes, the Belgian death metal band (and inspiration for my terrible pun above) are currently on their “Hell Over North America” tour with Cryptopsy and Hideous Divinity that brought them through Toronto this past Friday night for a show at Lee’s Palace. And as Fridays go, it was indeed a pretty good one. After a brief but energetic set from local openers Burdizzo, Italian technical death metallers Hideous Divinity came on strong with vocalist Enrico Di Lorenzo introducing the band to the crowd in a rather unique manner. “Toronto! Are you ready for some Italian love?” seemed like a bit of an odd way for a metal band to introduce themselves, but it turned out to be fairly apt since much of his unique and hilarious stage banter often sounded like he was trying to seduce the whole crowd. Which, while not terribly metal, does seem pretty Italian. Highlights of his banter included, “I hope you are enjoying this typical Italian product. Because this typical Italian product is enjoying you!” and “We’ve had so much fun here we’re going to come back. We are going to cross the oceans for you. You deserve it.” Stage banter aside, the band sounded impressive and Di Lorenzo was a charismatic frontman, often gesturing dramatically to the crowd and sometimes almost seeming like a conductor, albeit one whose orchestra is made up of bodies in the mosh pit. Up next was Crytopsy, playing their last date on the tour to a crowd that, according to vocalist Matt McGachy, was the best so far. They put on an intense show full of the band’s trademark technical virtuosity – Flo Mounier continues to be one of the best drummers in metal. 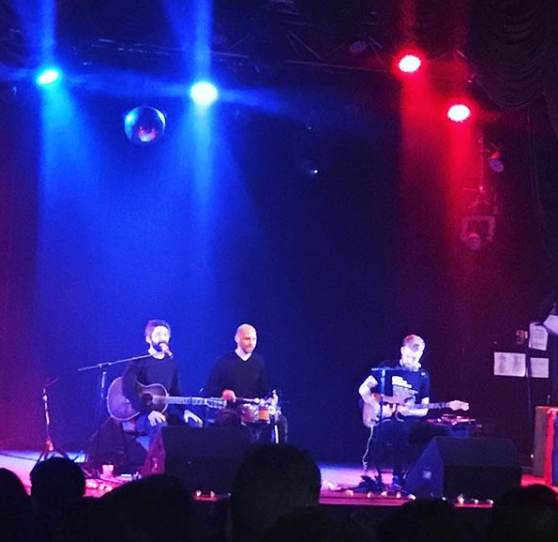 The band ran through a selection of songs from throughout their career, including a few off their recently released pair of Book Of Suffering EPs, and ended off their set by leaving the stage to the strains of Whitney’s version of “I Will Always Love You”. Maybe they were trying to seduce the crowd too. Finally, it was time for headliners Aborted to take the stage and bring on the “blastbeat party” they had promised. The band are touring behind last year’s TerrorVision album, the title of which almost certainly isn’t a reference to the ’90s English rock band of the same name, but which nevertheless reminded me that that band existed. So thanks for that, Aborted. Vocalist Sven de Caluwe took to the stage wearing a ‘Yes, I Am Joe Rogan’ t shirt (I guess as a bald guy fronting a metal band, he must get a lot of “Bro, you look just like Joe Rogan” comments from fans) and much like his tour mates, he made note of how high energy the crowd was. And for their enthusiasm, the crowd was rewarded in turn with an equally energetic set. Although the band’s been going since 1995, they’re not just resting on their laurels and the new album proves that they’ve still got a few tricks up their sleeves, experimenting a bit with their sound and adding a little diversity. Live, the new songs sounded great and prove that Aborted are still at the top of their game after nearly 25 years.